Amazon wants to serve you a drink. The tech giant is opening a pop-up bar in Tokyo on October 20. It will be open for 10 days. Located in the high-end Ginza shopping district, the bar will serve wine, beer, cocktails and Japanese sake. Prices range from 500 yen to 1,500 yen per drink (about $4.45 to $13.34). Food will also be available, according to the company's website. But there's no menu. Customers will fill out a questionnaire on a tablet ,and Amazon will suggest a drink based on the responses, a spokeswoman for Amazon Japan said. Sommeliers will also be on hand to give advice about wine and answer questions. "These types of pop-up experiential events are very popular in Japan," the spokeswoman told CNN Tech. The bar will allow customers to try some of Amazon's selection of wine, beer and spirits in a "physical setting," she added. "Unlike the U.S., Amazon is still making an introduction to consumers in Japan," said Brendan Witcher, principal analyst at research firm Forrester. "Trying something unique and different is a standard playbook move by Amazon, and this particular concept makes sense in a culture like Japan where shopping is still a very social activity." This is also the latest example of Amazon's push into brick-and-mortar. The company acquired Whole Foods earlier this year, and has opened physical bookstores in cities like New York and Seattle. It's also launching shops in some Kohl's (KSS) stores, which will sell Amazon gadgets like Kindles and Echo Dots. 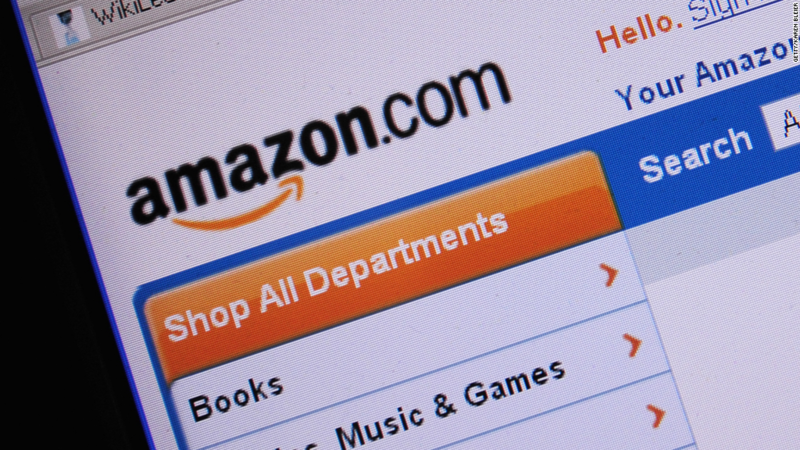 "Amazon's move into physical retail should not be a surprise to anyone," Witcher said. "Even though many consumers do research online, the vast majority of retail still happens in physical locations. Amazon wants a piece of that pie,"